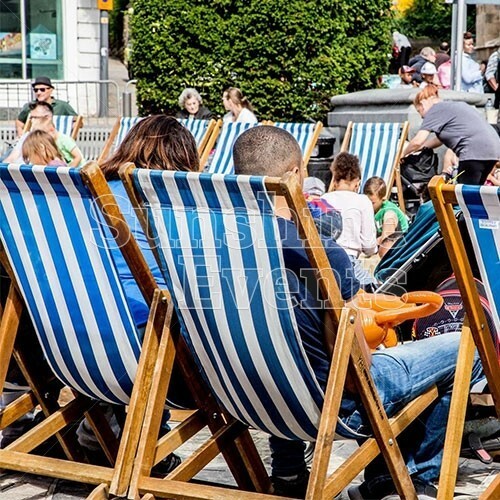 After a long day of traipsing around the beach or funfair, you’ll need somewhere to rest your weary feet, so you’ll need to hire the Deckchairs and sit back and relax whilst the sun is shining and the birds are singing. Or perhaps you’d like to brighten up a chilly winter event with a beach theme - you’ll be surprised how adding a little bit of summer to an event can brighten everyone’s spirits! 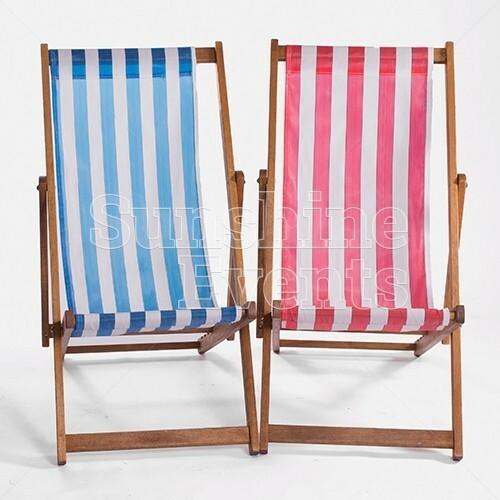 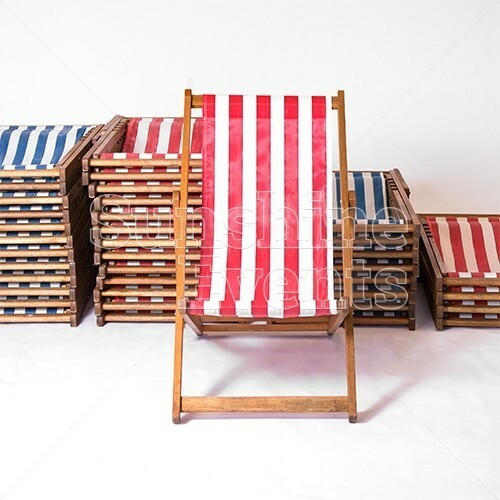 Available in red and white stripes or blue and white stripes, we have literally hundreds of deckchairs available to hire so if you’re planning a large outdoor event, such as an open-air cinema, then you’re going to need to find somewhere for everyone to sit and the brightly coloured deckchairs may be the answer you’re looking for! 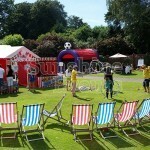 Plus they look amazing when all set up together! 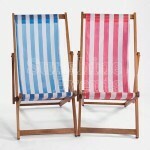 The deckchairs we hire are traditional style deckchairs, made to a much higher standard that the one’s you might buy in the shops - these are the real thing! 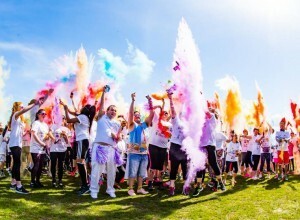 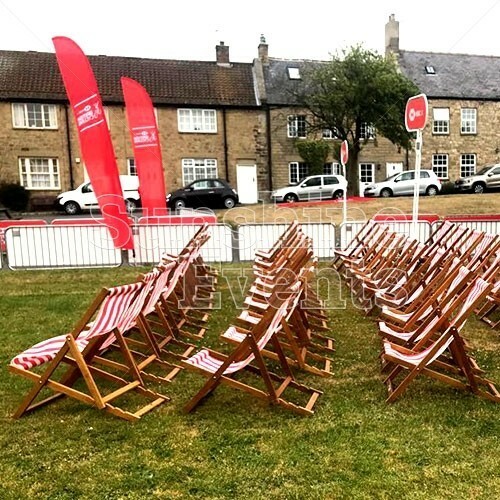 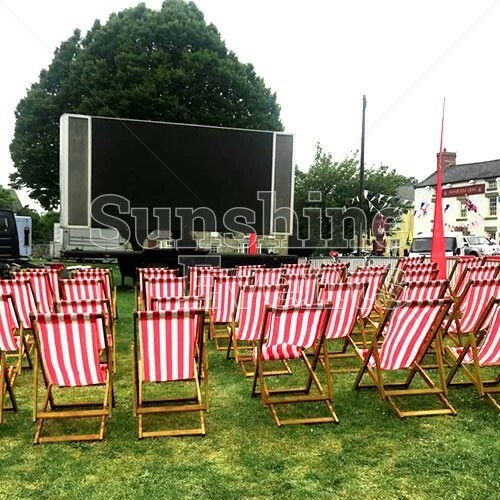 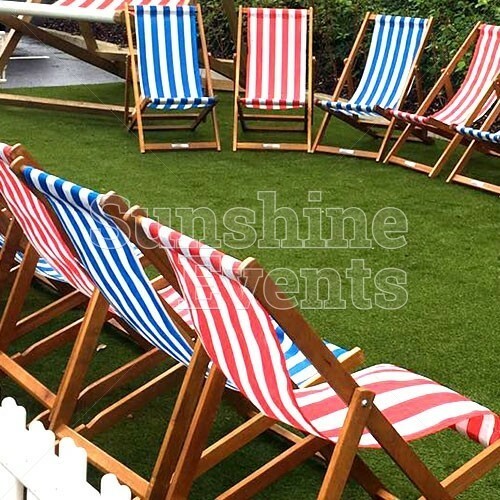 With summer always on the horizon, it’s not too late to make your enquiry about these unique seating options for your event! 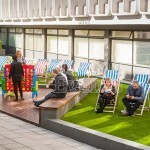 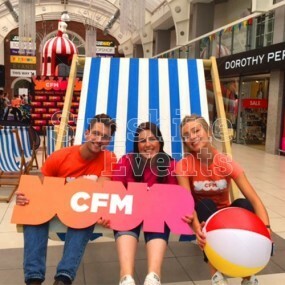 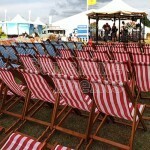 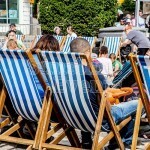 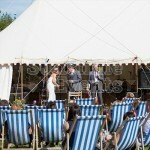 What events is the Deckchair Hire suitable for? 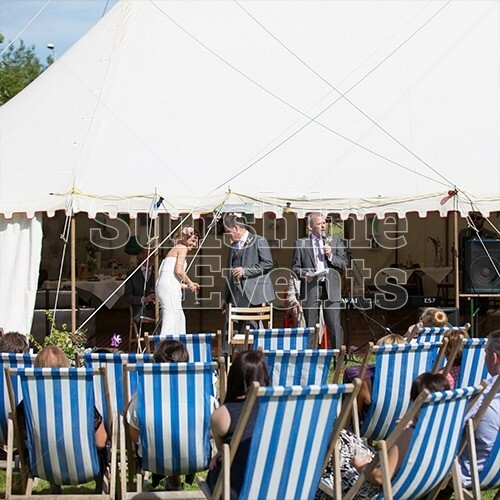 The traditional look of the deckchairs is swiftly making them a popular item for weddings - lots of tired feet after a long day of ceremonies and mingling. 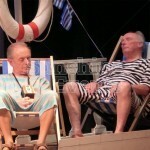 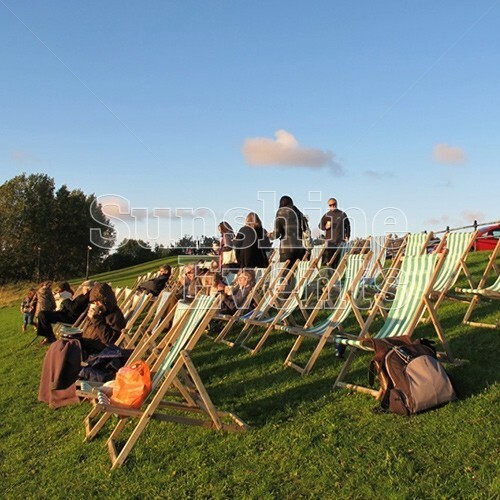 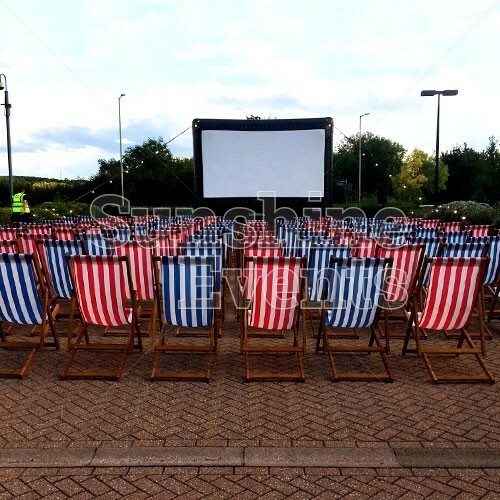 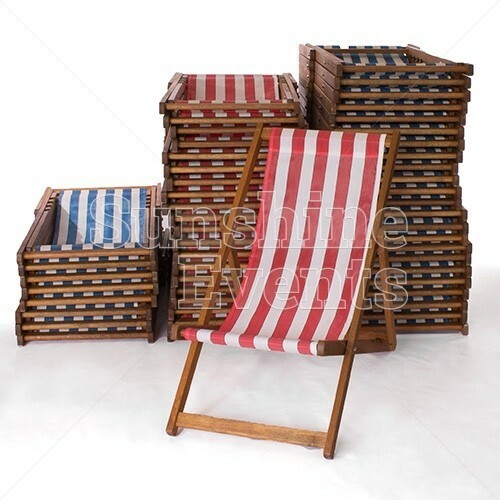 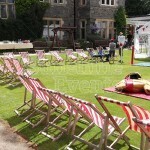 But there’s lots of other events these deckchairs can be used for - the only limit is your imagination! 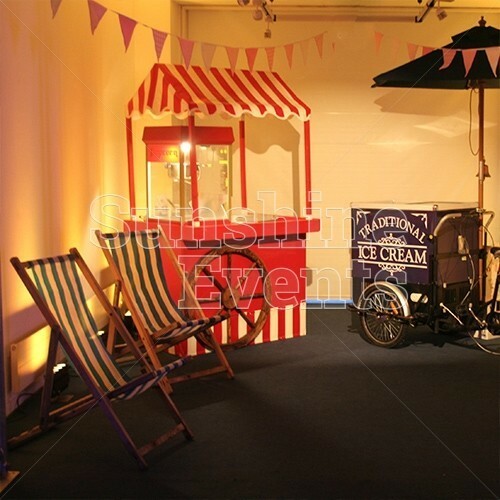 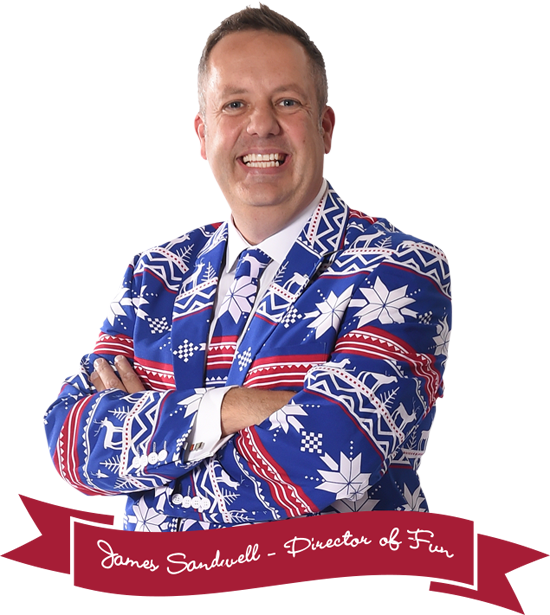 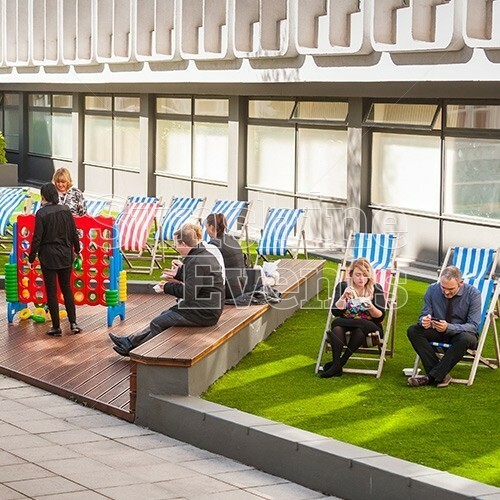 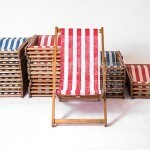 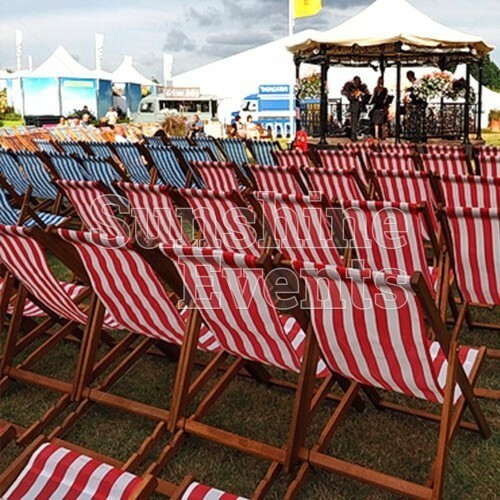 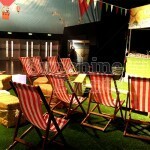 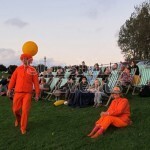 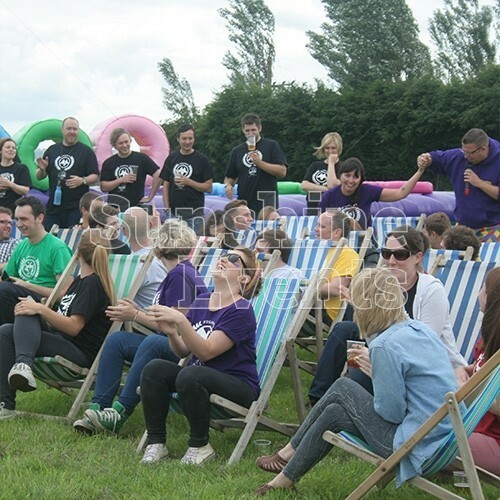 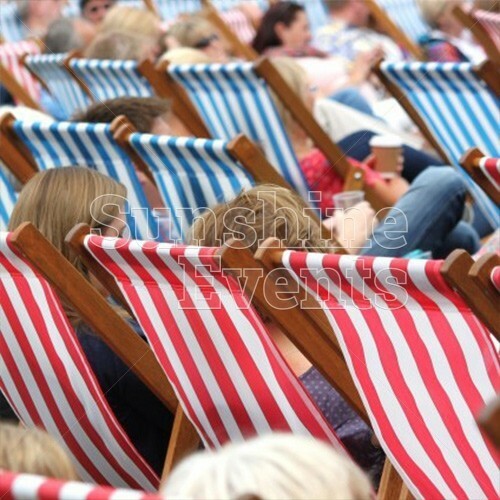 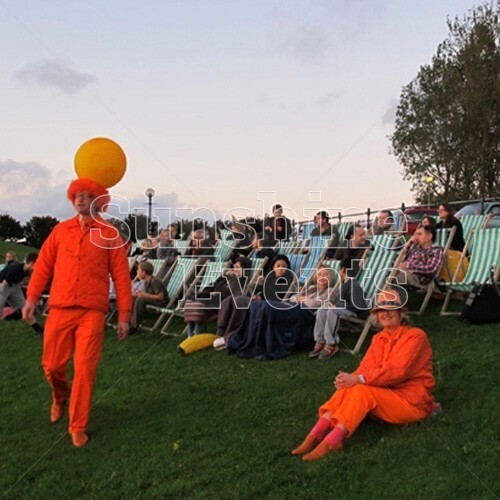 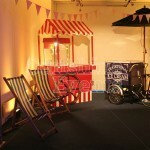 Brighten up your next event with the deckchairs, for either summer or winter events! 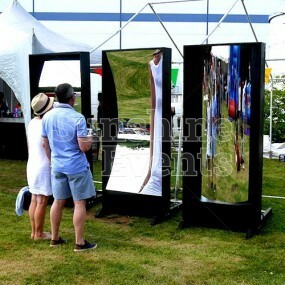 Take a look at gallery images to see how amazing they really are! 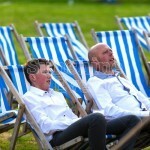 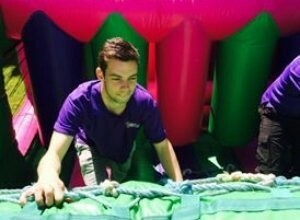 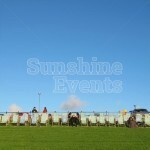 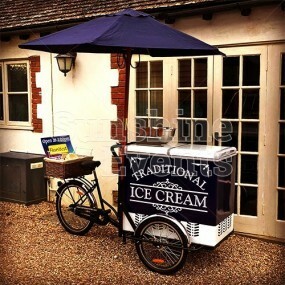 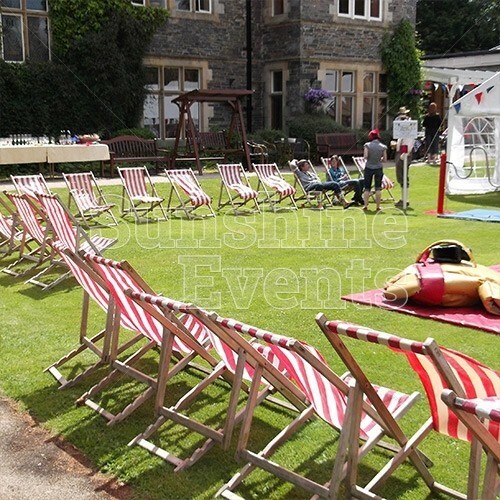 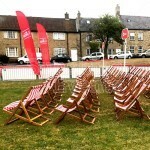 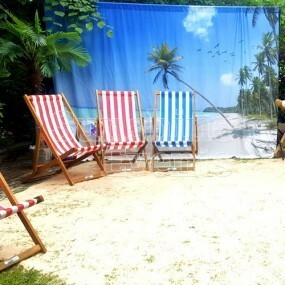 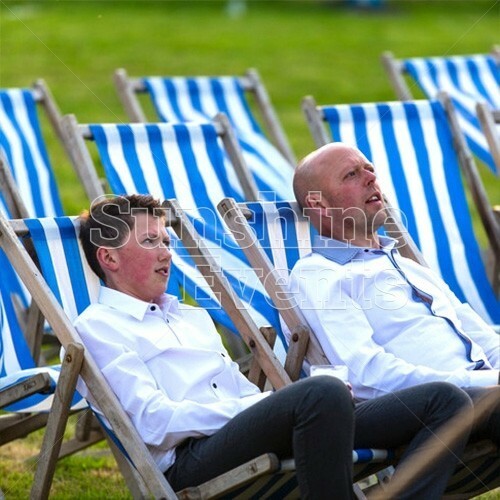 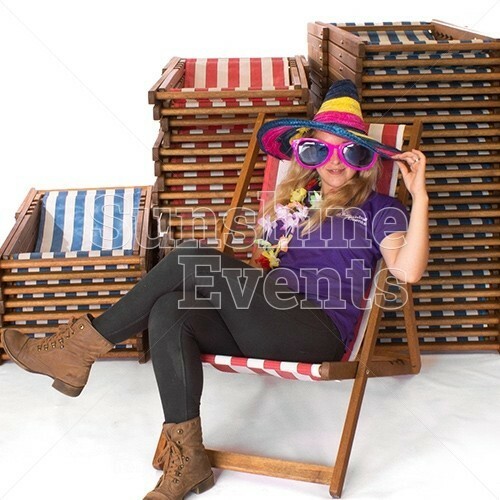 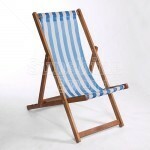 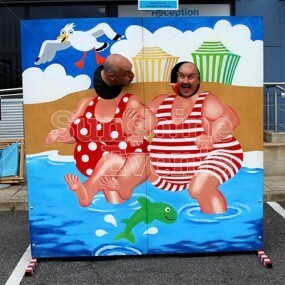 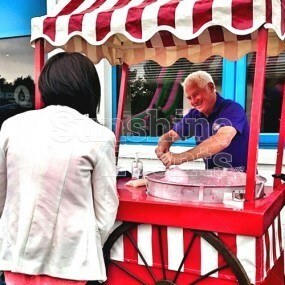 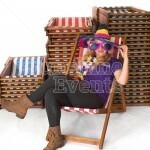 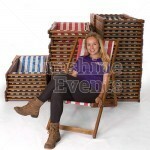 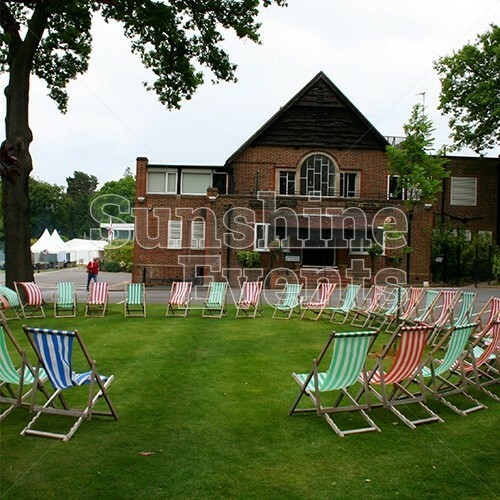 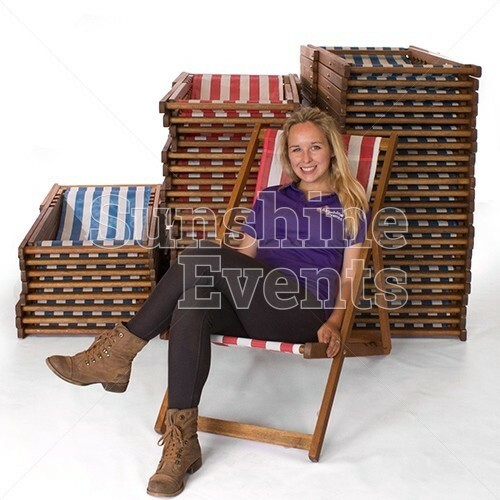 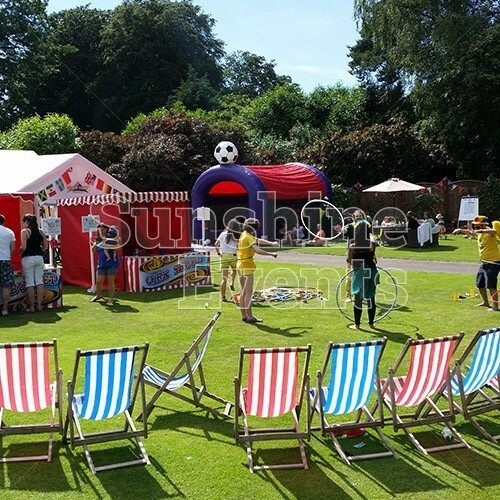 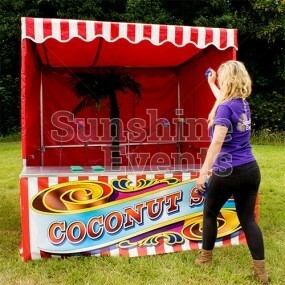 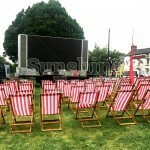 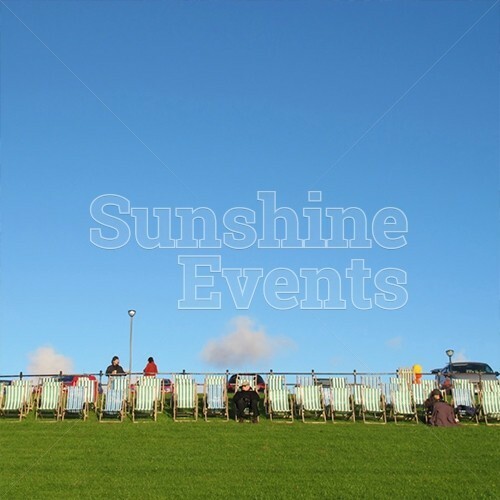 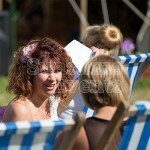 Deckchair Hire has been added to your Event Quote.